Cyber Monday deals: Save on five-star and Award-winning Denon AV receivers | What Hi-Fi? Denon's had a hugely successful year on the home cinema front, with a number of impressive AV receivers passing through the What Hi-Fi? test rooms. And now, as we ride the crest of Cyber Monday, we're pleased to report serious price drops on some of those models. The AVR-X2500H, AVR-X3500H are both five-star surround sound amps so they're highly recommendable from the off. The former is a muscular and powerful-sounding budget model, packed with features. The latter is a step-up model and 2018 What Hi-Fi? Award winner, with even more power at its disposal and capable of a detailed and rhythmic performance across the board. And, if you head on over to Richer Sounds you'll see that the price been dropped to an tempting £649 from £899. That's an impressive £250 saving. 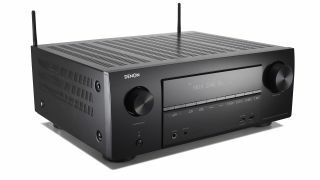 Owners of more premium home cinema systems might want to cast an eye over the Denon AVR-X4500H which is also being heavily discounted at the moment. It's down from £1499 to a new low of £1099. If you've been holding off upgrading an ageing AV receiver, now could be the perfect time to strike.